We are receiving complaints that some of the banks are not processing / sanctioning the Education loan applications if the applicants do not submit the AADHAR card. When we sought clarification from the Nodal Bank Canara Bank, Shri Badrinath, AGM, Canara Bank Head Office has responded to us the following quoting IBA guidelines. From these guidelines, it is clear that Aadhar cards are not mandatory for processing the education loan applications. 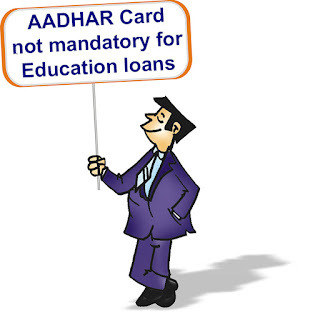 IBA Mumbai during the revision of Education loan scheme guidelines had advised banks to Obtain UID number issued by UIDAI ( Aadhaar ) to the students and note the same in the System. Accordingly we had issued guidelines to the branches to prevail upon the students to submit the PAN/AADHAAR card particulars before completion of the course. Wherever a student is not having UID number, branches are advised to obtain undertaking letter from the student for submission at a later specified date. However, the disbursement in subsequent years should not be stopped for the said reason. The same should be followed up till submission for noting in records. From the above , it is clear that obtention of AADHAAR card is neither mandatory nor a condition for sanction of loan. 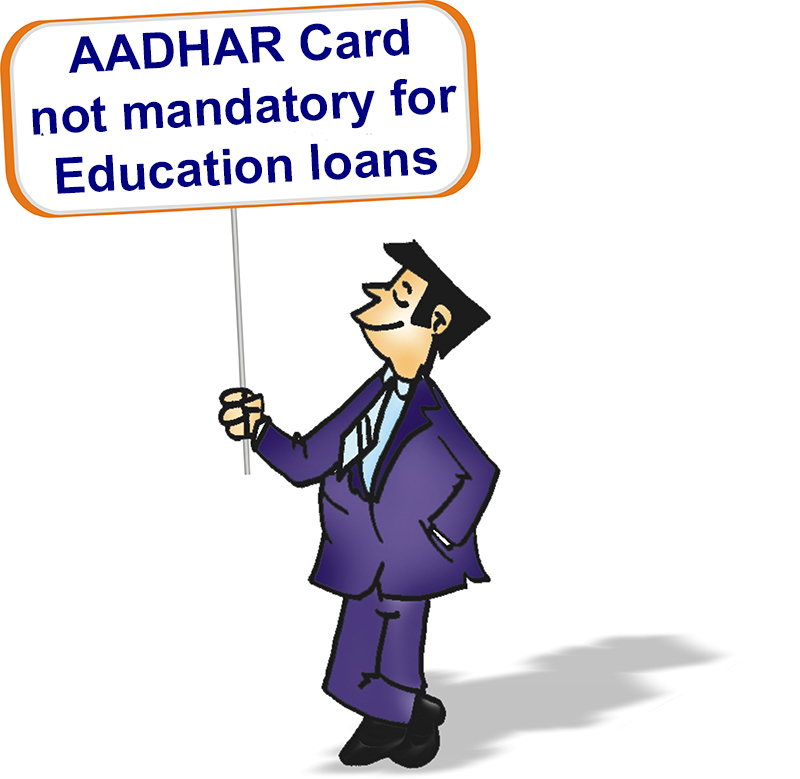 Aadhar is not mandatory for sanction of Education loan, but students are advised to submit Aadhar before completion of course.